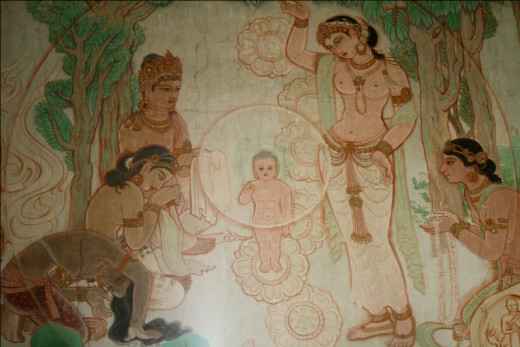 The Buddha was born as Prince Siddhartha in Lumbini, Nepal, on the full moon day of May c. 623 BC. 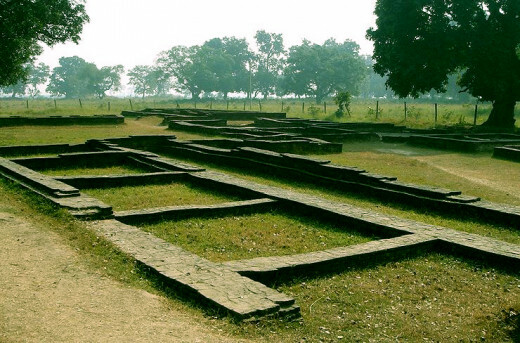 His father Suddhodhana was the king of Tilaurakot, Kapilvastu, Nepal. 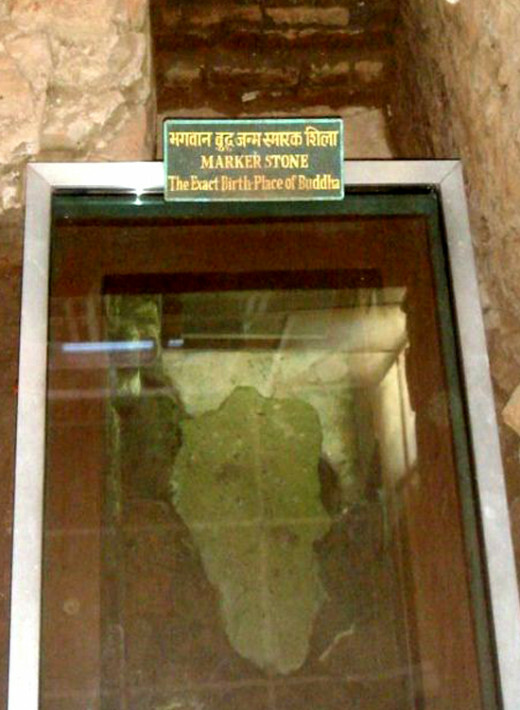 When his mother Maya Devi died, Siddhartha was raised by Prajapati Gautami, his aunt and step-mother. One of the names of Buddha is Gautama, which comes from Prahapati Gautami, who was also the first woman to be initiated in Buddhism. 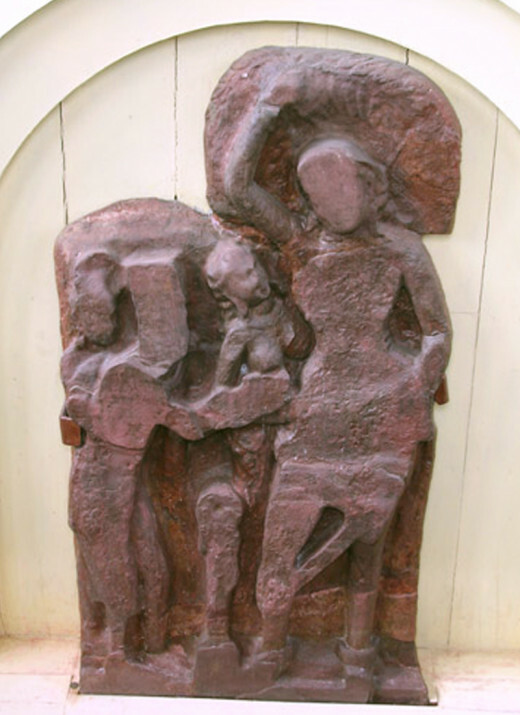 Since its inception, Buddhism encouraged women to practice religion and be liberated. 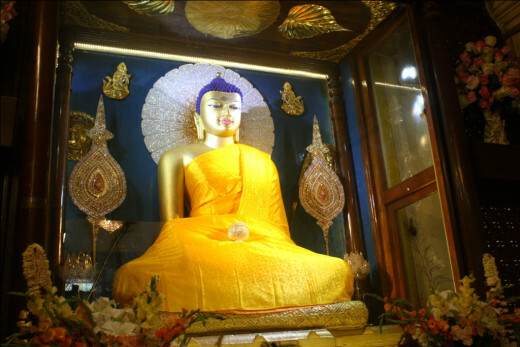 Siddhartha Gautama was born in Lumbini Garden when his mother Maya Devi was passing through Lumbini on the way to her parents’ home in Devadha. 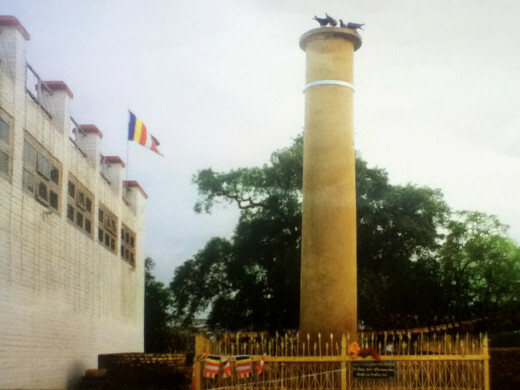 Maya Devi Temple is in Lumbini Sacred Garden, which was originally built in 3rd century BC, and renovated many times. 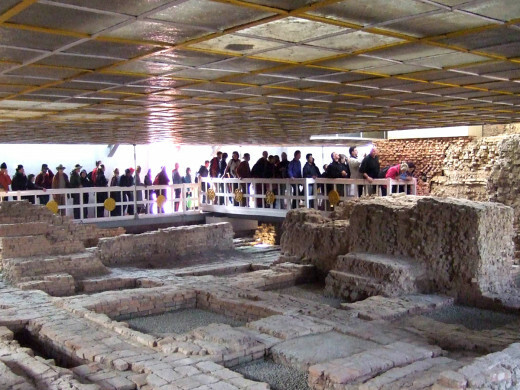 The exact spot where the Buddha was born is Inside Maya Devi Temple, it is marked with a stone called Marker Stone..The well preserved Lumbini Sacred Garden is 2.56 sq km, and is the heart of Lumbini-Buddhist Circuit. Lumbini is a small town 300 km west of Kathmandu, capital city of Nepal. Siddhartha was married to Yoshadhara and had a son Rahul. However, he did not find pleasure in his royal life. He left his family at the age of 29, and went in search for the cause suffering and means to end suffering. 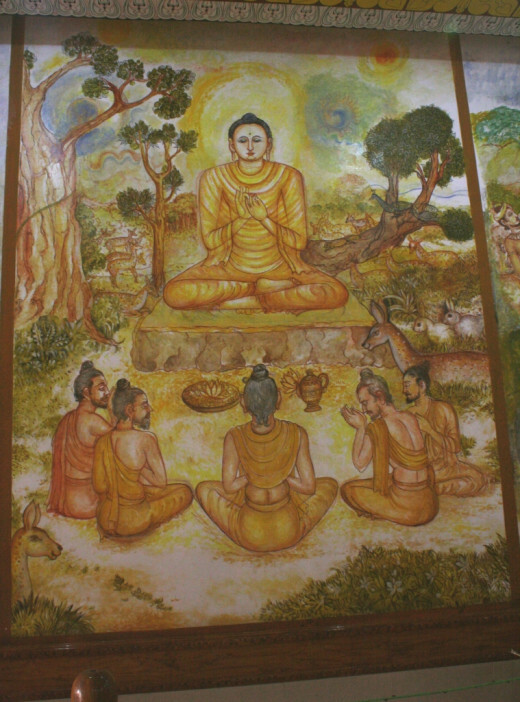 When he was 40, Siddhartha attained Nirvana and became the Buddha. He was 80 when he died in Kushinagar, India. In the beginning, Buddhism was limited to Nepal and India, but later it spread to East Asia and Tibet. 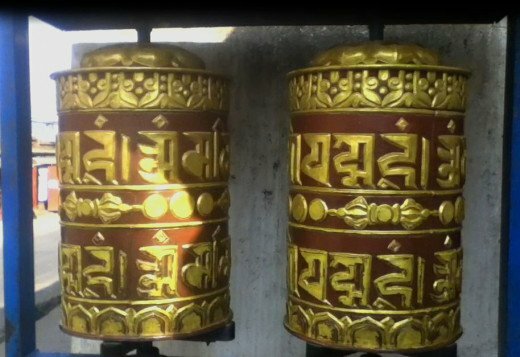 Tibetan Buddhism evolved when Buddhism reached Tibet, in the 7th century. 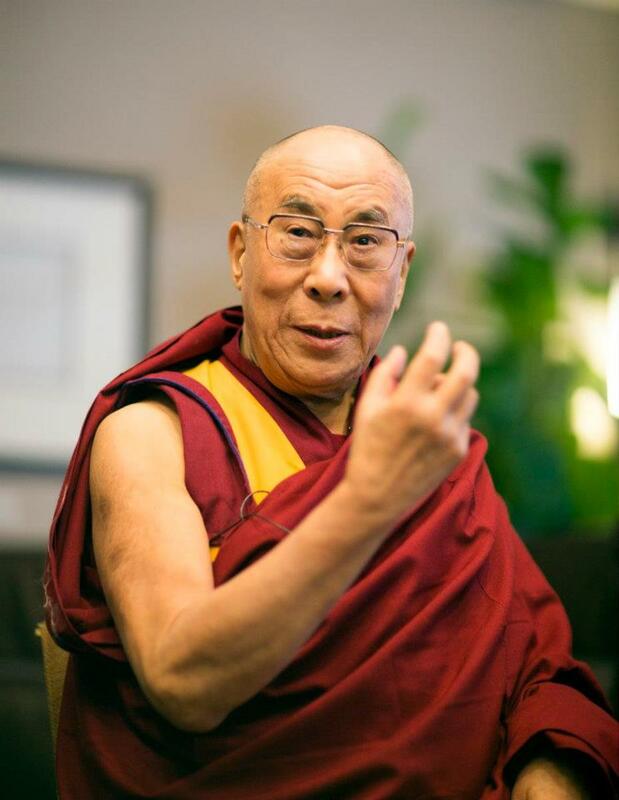 The Dalai Lama is highly regarded in Tibetan Buddhism. I teach sorrow, its origin, cessation and path. That's all I teach. When you understand beauty to be beautiful, then ugliness exists. If you believe goodness to be good, evil will exist. Light and dark, winning and losing, good and evil, are just different aspects of the same phenomena. All opposites are polar, all opposites are interdependent. The Buddha teachings were not written but spoken. After his death, his disciples were worried that the Buddha’s teaching could be forgotten if it was not collected. They took the initiative to collect the Buddha’s teachings. The earliest and the most complete collection of the Buddha’s teachings is Tripitaka, literally three baskets. Tripitaka contains three books: Vinaya, Sutta and Abhidhamma. It is in Pali language. Vinaya tells about the importance of the monastic life, Sutta is a collection of Buddha’s sermons, and Abhidhamma contains philosophical discourses and mysticism). Early Buddhist texts, referred as Buddhist canonical literature (or simply Pali canon), tell about the established doctrines. Later Buddhist texts, called non-canonical literature, are the interpretations of the Buddha’s teachings by the early Buddhist monks. Over the years the Bodhisattva (Buddha-to-be) like Nagasena, Buddhaghosa, Buddhadatta, Nagarjuna, and Dhammapala wrote commentaries on Tripitaka. These commentaries are Buddhist non-canonical. 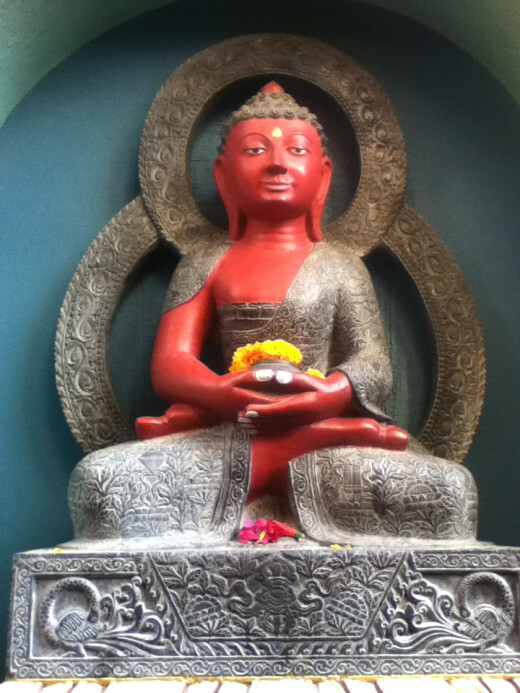 Mahayana and Theravada are the two schools in Buddhism: In Mahayana, the Buddha’s teachings coexist with Hindu beliefs, shamanistic practice, esoteric rituals and meditation. Zen Buddhism, Vajrayana Buddhism (also called Tantric Buddhism) and Tibetan Buddhism are different disciplines in Mahayana Buddhism. 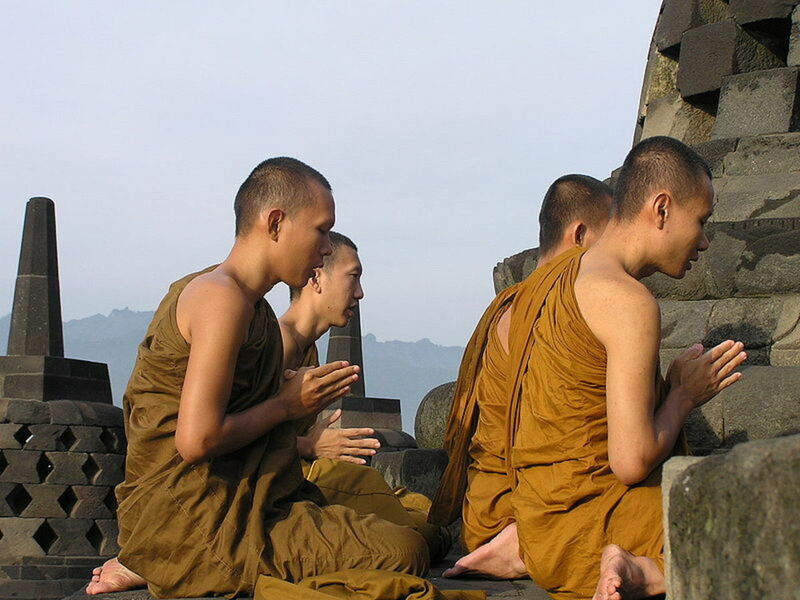 Theravada Buddhism emphasizes monastic life and deals with puritan teachings of the Buddha. The basics of Buddhism are simple. You have to know about the Four Noble Truths and practice the Eightfold Path. The Buddha’s teachings are meant to end suffering in your life, and you can end suffering by incorporating Buddhism in your life. Whether you are Buddhist or not, you can incorporate Buddha’s teaching in your life by understanding the four noble truths and practicing the eightfold path. The four noble truths encompass the entire Buddha's teaching. The Four Noble Truths are not beliefs but the level of experiences. They present the cause and effect of your being, your existence on earth. In the first noble truth, the Buddha identifies the problem of human life i.e. sorrow. Buddha says birth is sorrow, sickness is sorrow, old age is sorrow and death is sorrow. Birth, sickness, old age and death are the realities of your life. In the second noble truth, the Buddha identifies the cause of sorrow. The Buddha says there is sorrow because there is desire. Desire comes in three forms, also known as three poisons. The three poisons are passion, aversion and bewilderment. In the third noble truth, the Buddha says there is a cure from sorrow. The root cause of sorrow is desire. There is desire because there is attachment. To end sorrow, you must be liberated from the sense of attachment. In the fourth noble truth, the Buddha shows the path to get away from sorrow. The fourth noble truth sets forth the Eightfold Path of Buddhism. You must understand the three noble truths and practice the forth truth. The fourth noble truth is the Eightfold Path, which ultimately ends suffering and makes you liberated. The Buddha called Eightfold Path the Middle Way. Middle Way means human beings must avoid both, excess indulgence and strict asceticism. 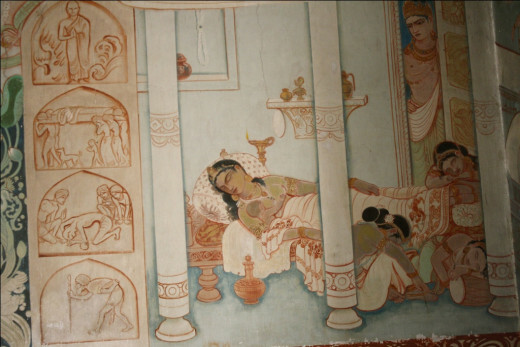 As a prince, Siddhartha enjoyed indulgence. After he left his home, he practiced strict asceticism. 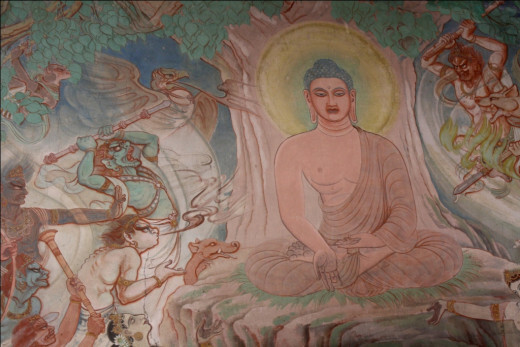 These two extremities made Siddhartha suffer more. Then he founded the Middle Way. The first two paths –righteous view and righteous intention –are about wisdom. The Righteous speech, righteous action and righteous livelihood are about ethical conduct. And the final three paths, righteous effort, righteous mindfulness, and righteous concentration are related to meditation. The Buddha used righteous to describe the eightfold path because he wanted to negate two extremities, too much attachment and too much detachment. The Eightfold Path is a means to liberation, not the ultimate truth. 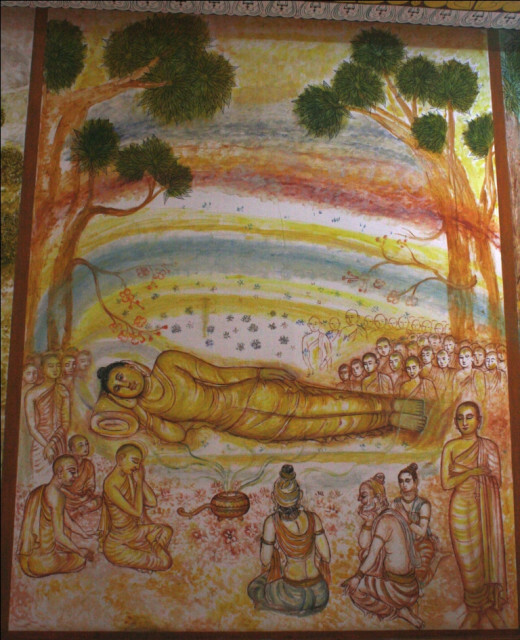 The Buddha illustrated this by giving an example of a raft. You need a raft to cross a river, once you cross the river, you no longer need the raft. The Buddha did not initiate any religion. However, his teachings were later called Buddha’s Path, or Buddhism for that matter, and his followers were Buddhist. The Buddha did not invent the concepts of Samsara, Karma and Nirvana. He was born in a Hindu family, and these ideas were already present in Hindu religion. The Buddha, however, gave new insights on Karma, Samsara and Nirvana. The world you live in is Samsara. In this Samsara you are born, you live, you die and then take a new birth again. Karma is Sanskrit word for deeds. Everything you do is Karma, it follows you like a shadow in your every births. Good Karma offers happiness, and bad Karma makes you suffer. Nirvana means liberation. When human beings attain Nirvana, there will be no birth. No birth means end of suffering. The basic of Buddhism is to end suffering. Well informed and great job done by this Hub! It depends on what do you want to read about Buddhism. There are lots of book on Buddhism. If you want to read about the Buddha, Siddhartha by Herman Hessa is the best. If you want to read Buddhist philosophy read any books by Nargarjuna. I wish to learn more about Buddhism. Could you please suggest a book to refer and study further? Thank you for sharing your knowledge here. @Suzie, I believe our names have great influence on our like. I discovered Buddhism because of my Buddhist name. Thanks for your comment. Cheers. @torrilynn, I believe people should be rooted on their faith while nurturing tolerance for other beliefs. Thanks for sharing your thoughts. i find this hub interesting. I feel that everyone should be open minded to someone elses religion and personal beliefs but nonetheless not everyone feels or thinks as I do. all in all, I believe this to be a great hub that has some great points. thanks. voted up. More than reading scriptures, Buddhism emphasizes on meditation practice. You have truly incorporated Buddha's teaching. Thanks for sharing your experience with meditation. Great Job on this hub! extremely informative, thanks for posting this! I just started meditating about a year ago. You could call me a neophyte, but I have definitely seen a vast difference in my mental clarity at this point. It is one of those things that gradually helped me overcome some of my own inner obstacles to happiness, and now I feel like a new person. I also study philosophy, so I appreciated the technical side of this hub as well! The video reminded me the good time I had in Nepal. @Angel, More power to you for always appreciating my works and inspiring me to excel on HP. @Jtd, I'm not a Buddhist expert myself, in this article I have shared what I have read and experienced as a Buddhist student. Great Hub! Concepts such as the 4 noble truths and the eightfold path are explained in such a clear and simple way. I'm no expert on the subject, but so many when they discuss ideas and concepts in Buddhism seem to over complicate it. One would think the Buddha himself would have striven to keep his ideas clear, concise and approachable to all. This is the hub that earns special accolade ? Indeed it deserves for an accolade , well done content , grammatical structure . A nourishing and enriching hub ! CONGRATULATIONS !!!!!! More power to you ! Thank you my dear friends for reading and commenting. I'm here because of you, you have always inspired me to better. There is so much to learn from you. Hi Vinaya, Namaste. I enjoyed this description of the Buddha's life as well as some of the background on how the texts came about. I tend to read anything and everything about the Buddha especially b/c here in the West, more authentic sources are always translated and as a linguist I have the tendency to question how accurate they are! It is great to have your thoughts on the subject. May you experience happiness in the coming year! explanations on the teachings of Buddhism. Thanks for sharing. 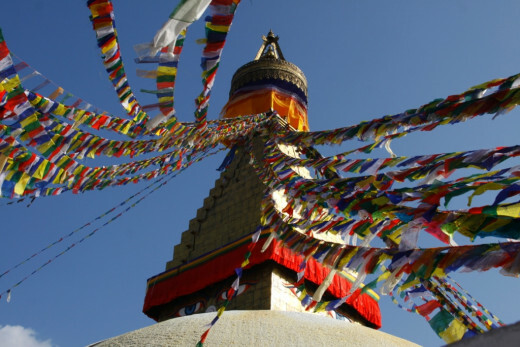 I have been to swayambhu about 7 years ago. Gosh has been quite a while. You have well recorded the place in your this video and very infomative article on Budhism and its principles! Great job Vinaya! I considered this as educational hub. 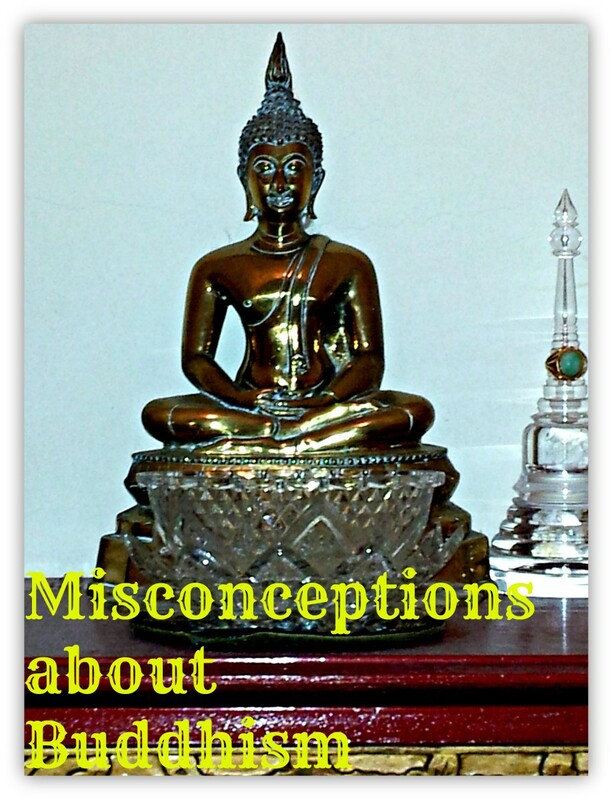 You have showed the whole picture about Buddhism on this short hub. Thanks for sharing it to us. What a fantastic and well informed hub! Thank you so much for this wonderful information put together in such a professional yet creative way! Congratulations Vinaya on the HOTD. I truly enjoyed the video and presentation. A lot of the information here is new to me. Merry Holidays@ a prosperous New Years to you my friend. Beautiful hub, Vinaya. I have always admired Buddhism and its values and your hub said it all. Thanks for explaining about the Buddha, the four noble truths and the eight fold path. Great article. Congratulations Vinaya on your HOTD! This hub is outstanding and the honor is well deserved. Congratulations on earning Hub of the Day for this beautiful, interesting and fact filled article about Buddhism. You have expressed the Four Noble Truths and Eightfold Path in a way that allows a reader unfamiliar with Buddhism, to be able to understand the basics. I loved the video and stunning photos! Blessings & Love, Dear Friend. Oh, and please change the title of your hub. We do not incorporate things "in" our lives, we incorporate them "into" our lives. Better still, change the title to "A list of terms and definitions used in Buddhism with music and images". Altogether more appriopriate, don't you think? Here's a comment to counter the accolades from the hordes of unknowing flatterers - some dark to counter the light, you might say- to help you achieve some balance and find the middle way. Your article has a flat, boring writing style. No more than a listing of facts and definitions. Tedious to read without any flair or style. I did not manage to finish it, as I felt my eyelids drooping. No new information, or imagination, or creativity. And worst of all, your text does not reflect the title. You do not tell us anything about how to incorporate buddhism into our daily lives at all! You will get the basics teachings and understanding of Buddhism by reading this hub. It's a great thing for a person to follow as written up there. It's not easy to life the real Buddhist life. Great job, Vinaya! BTW, thanks for the tour! Congrats Vinaya, on this wonderful and well written hub. One of the things I love about Buddhism, is that even a Christian such as I, can incorporate into his life from time to time. Congratulations on a well deserved Hub of the Day! This is a wonderful look into your religion! I have wondered about the basics of Buddhism. You explain them well in this beautiful hub. The photos and video add so much. Congratulations, Vinaya, on Hub of the Day! Oh yes congrats Vinaya! Like Peggy said so well deserved my friend. Excellent capsulization of the Buddhist beliefs. Thank you for the reminders, also. I read a book called "Sidhartha" in my youth, and it left a lasting impression on me. Hello Vinaya, Thank you for sharing your faith. The pillars/eight fold paths that you shared surely can benefit us all in life and steps we should incorporate in all areas of our lives. Open hand is always a good thing, letting go of attachments. Have a wonderful day my dear friend, you are a blessing. Congrats on winning the HOTD. I have always been fascinated by Buddhism. I do believe in Karma, and I have thought a lot about reincarnation, and I try and relate that to the Holy Bible. The Bible does tell us we will live forever in Heaven. Who knows? If we follow the teachings of Budda, that would be the same as following the Ten Commandments that we Christians try and live by. Thanks for this informative Hub. I voted it UP, etc. and will share. Very interesting hub. Although I am not a Buddist, I come under the category of people who incorporate some of the teachings into my life. Years ago I read that Buddists find God in everything, which made sense to me so I read more about it. This is a very useful and succinct and I feel sure it will be helpful to many people. Congrats on a well deserved HOTD! This is an immaculately-written hub with an engaging video and wonderful photos! I came to know about Buddha through Amar Chitra Katha comics and now I learnt more from your detailed hub. Congrats on winning the much deserved HOTD! Way to go! @Peggy, our karma follows us like a shadow in our every life. We will wander in samsara until we improve our karma. Thanks for sharing your opinion. @Maria, thanks for your wonderful comment. Four noble truths and Eightfold path can certainly applied by every individual. This piece reminded me of how much I have and will continue to learn from you. I totally embrace the four noble truths and the eightfold path of Buddhism. There is such a sense of clarity, balance and peace in these teachings. In keeping with Honey BB's challenge, this is the 9th of 26 hubs I am reading today. This one is in honor of Madeleine F. Hsu (07-10-06) and may her sweet soul rest in peace. This hub about incorporating Buddhism into our lives is fascinating. The video at the top was beautiful to view. I think that most people have heard about good Karma or bad Karma. This makes sense to me that how we live our lives effects our happiness while here and also can affect others. I know that I will be rereading and thinking about this hub. Up, useful and interesting votes and will share. Thanks for writing this! @Midget, Buddha's teachings are for the entire mankind. Thanks for your comment. @Rajan, that's true, Buddha has explained about esoteric things in simple words. Thanks for your comment. You have explained Buddhism very beautifully and simply Vinaya. Buddhism principles are very simple and straight forward. There is desire at the root of all sorrow. And practicing a middle path in thought and action. I am passing on this very useful hub on Buddhism. It is useful for anyone seeking to embrace the wonderful tenets of this religion. Thanks for sharing and I pass it on as well! @Natashalh, I love the ambiance of monastery. There is so much peace. @Billy, the Buddha's teachings are more of philosophical kind. Thanks for being here. @tillsontitan, I believe our name have lasting effect on us. Thanks for appreciating my work. @Jamie, monkeys and pigeons are found in most of the Hindu and Buddhist temples in Nepal. I believe in Karma, and I try to improve my karma. Thanks for your in depth comment. @Angel, thanks for always reading and leaving nice comments on my hubs. A very loaded hub , while reading i am like in History and English Literature Class. Video is so beautiful , music makes it more beautiful. I enjoyed the video very much.. the music was soothing and what a beautiful, interesting place. Were those monkeys that I was seeing? I have always agreed with the Buddhist teachings. I believe them to be universal truths. I strongly believe in Karma and know it to be true. I experience it in my life and see it happen in the lives of others. I also think about attachment and see how it is the cause of suffering... I just do not know how NOT to become attached.... I often think about it but for as long as I can remember it's been so easy to attach myself to things and ideas. I need to meditate more. I know there is liberation and peace that comes along with that. This is a wonderful hub and great reminder to me. Thank you for sharing. Voted up, useful, beautiful and interesting! Nice video. Loved your work. How amazing to see monkeys walking around so naturally! How nice to learn the beginnings of your name and the importance of such a beautiful name. 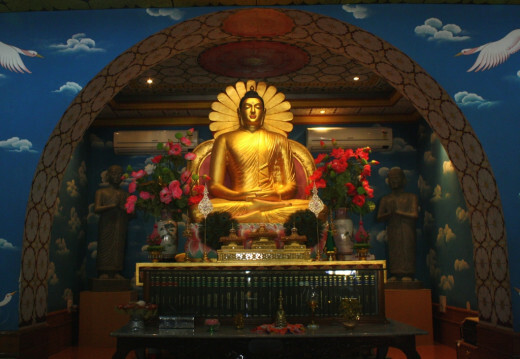 This is a great hub for us to learn more about Budda and Buddhism. As always, your pictures are beautiful...I liked the video as well. Voted up, useful, and interesting. A very interesting hub Vinaya! Thank you for sharing. Great overview. I'm certain there is more too it. My neighbors are Buddhists. If it wasn't for the lady's sister, I would never have guessed. Thank you for clarifying information about Buddhism. Excellent hub my friend. These teachings could help one and all! What a beautiful hub. I had the privilege of visiting a Buddhist temple this summer - it was a place of beauty and tranquility. I need to try to incorporate these teachings into my life - I believe it would affect positive change.